This is a pure pleasure read. I’ve been waiting for Nic and Cam’s book and it doesn’t disappoint. The tension between the men was hinted at in the past few Agents Irish and Whiskey books and I loved finally getting to know them as leading men in their own right. I loved Cameron’s murky past and the moral grey areas he is thrown into in the present. I loved the more unbuttoned side of Dominic and the microbrewery was a delight. Both of them have enough family drama to support a series and both of them have just the right balance between hero and antihero for me. I do have to interrupt my fangirling to admit that I don’t think the plotting in this story is as strong as it has been in previous books. There are some exciting moments but there are also a few scenes that left me a little bit bewildered. The first few books in the series introduced a fresh approach to FBI work but this one rests on some tired and borrowed tropes. The action is still exciting but some of the magic I’ve come to expect from this author is missing. While this book is marketed as the first in a spinoff series, it really won’t work as a standalone. Readers need to read the Agents Irish and Whiskey books and it would help to also read the shorts. Imperial Stout is a spin off from the Agents Irish & Whiskey series, which was my favourite series of 2017. This new series sees Assistant DA Dominic teaming up with FBI kidnap specialist Cam. The story presents us with two mysteries of sorts. The crime that Cam and Nic are trying to solve and a different set of bad guys threating Nic thanks to his father’s shady dealings. The action is well done and the story moves fast and it had me hooked. There is a fantastic scene outside Nic’s brewery that I’d love to see on screen because in my head it was brilliant and showed how kick A$%^ Nic is. The sexual tension between the two men is totally hot. Working together, they should probably not get involved but it is clear that it is only a matter of time before the one kiss they shared becomes two or three or more. It isn’t rushed and their connection is more than physical. I love stories that mix action, crime solving, and romance and it is a formula Layla Reyne has down pat. 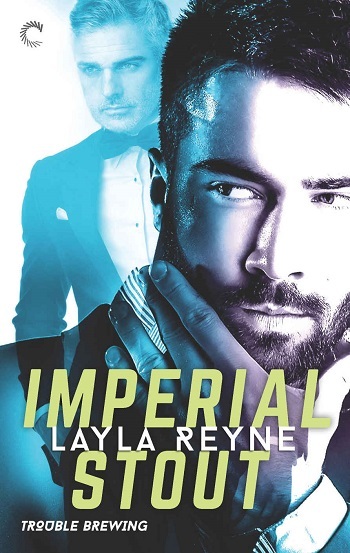 Imperial Stout is another five-star book from Ms. Reyne and she has quickly become a must-read author for me. I have read all the books in the previous series and I was excited for this new series. I have a feeling that I will end up loving this series, but right now this book was too much for me. Too much going on, too much buildup, and not enough of Nic and Cam. I hate wordy books and this one is wordy, but I figured it would be because the first book in the last series was too. This was a good start to the entire plot and storyline but hopefully we will get more of Nic and Cam and them in the following books. This is a fabulous start to a new series – and follows on from the wonderful Agents Irish and Whiskey series. In fact, they also appear as important parts of this book, so if you are having withdrawal symptoms this will help! A full-on thriller, with two very much hot for each other leads, you will be whisked into the mayhem and chaos from the very beginning. It will help if you have some history on some of the team, but they are all introduced as necessary too. Nic is not only fighting his need to be actively involved, when his role as prosecutor is usually more sedentary, but also threats due to his father. This extra dimension makes him behave in ways which are not clear to those around him, as he tries to keep the problem away from Cam in particular. There is definitely a lot going on and keeping it all straight is a challenge, but well worth it. As the immediate case comes to an end, it is clear that the series is going to have an ongoing and underlying threat running through it, which will ramp up the drama as it affects the people we are growing to care about the most. As the layers are peeled away and we get to see the full extent of the damage done to Nic in the past, I think that Cam will become even more protective, which is definitely a trait he does well. I think they are a great match, and now that they are breaking the rules of public engagement, they are infernally hot! 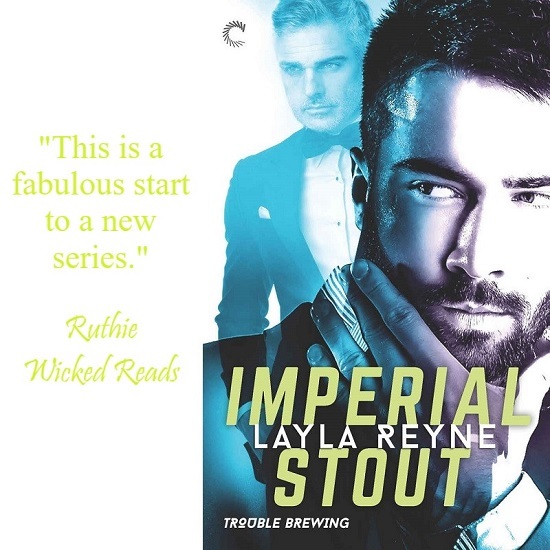 Reviewers on the Wicked Reads Review Team were provided a free copy of Imperial Stout (Trouble Brewing #1) by Layla Reyne to read and review.